The terms F-15 and F-16 are familiar to military people today and recognized by many in the public. They’re the official terms for well-known fighters, using the nomenclature of the Pentagon‘s military designation system (MDS), and of course they’re a familiar sight at many airbases. During World War II, American fighters were called pursuit aircraft and the Army Air Forces (AAF), predecessor of today’s Air Force, named them using the letter “P” – hence, the equally familiar P-47 and P-51. There was no F-16 in this wartime series because the AAF purchased just 15 types of aircraft before the “F-plane” terminology ended in 1948. 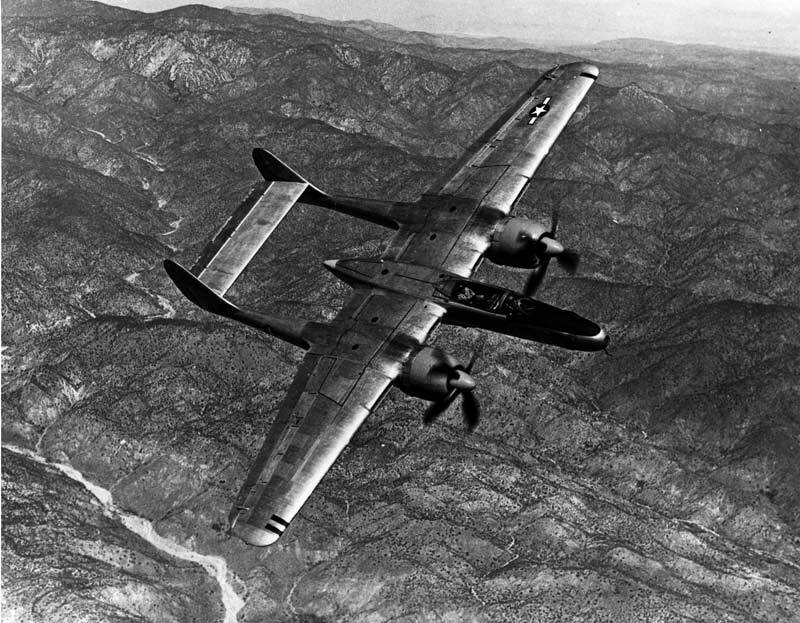 The original F-15, no relation to today’s, was the Northrop Reporter, a twin-engined, twin-boom, propeller-driven reconnaissance craft based on the P-61 Black Widow fighter. The Air Force had a squadron of F-15 Reporters in Japan as late as 1948. There were hundreds of “F-planes,” the most numerous being the F-4 and F-5 Lightning, both based on the P-38 Lightning fighter. Though their job was to take pictures, many “F-planes” were fully armed. Exact numbers of airplanes in the “F” series are impossible to determine. 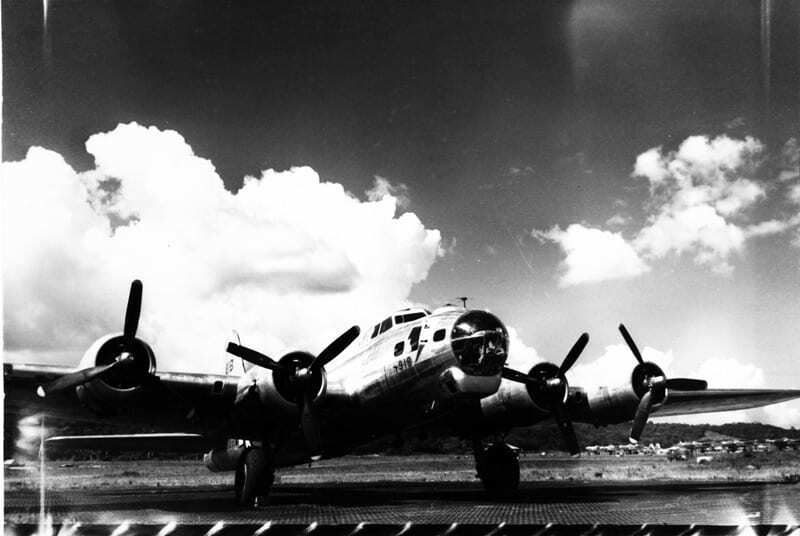 Factory records and serial number lists often show the planes under their more familiar names, because most were modified for photo duty, and then re-named, only after entering service. In Europe, Lt. Col. Clyde East became one of the very few air aces in a reconnaissance unit. He was credited with shooting down 12 German aircraft while flying an F-6. In Luzon, Philippines, on Jan. 11, 1945, pilot Maj. William Shomo shot down seven Japanese aircraft in a single action, also while at the controls of an F-6. On Oct. 29, 1944, Capt. Ralph D. Steakley flew the first combat mission over the Japanese capital, Tokyo, since the famous Doolittle raid of 28 months earlier, piloting an F-13. F-4 and F-5 Lightnings took photos of Rommel’s Afrika Korps in North Africa and fought in Europe. F-7 Liberators flew long-range photo-gathering missions in Burma and the South Pacific. 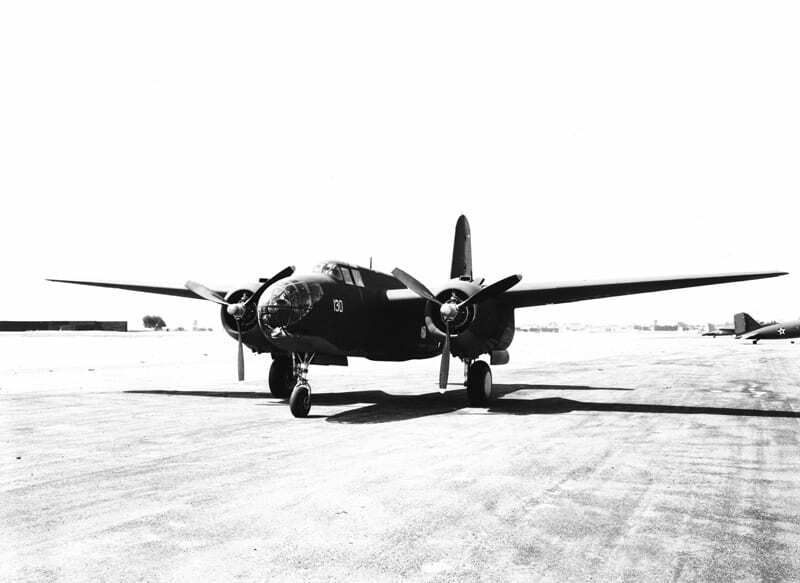 The first two planes in the series were based on cargo transports. Of the 15 planes in the series, just two were entirely new designs (F-11, F-12). All others were derivatives of fighters and bombers in service during the war years. The Hughes XF-11 (its “X” prefix making it experimental) crashed in Beverly Hills, Calif., on its first flight on July 7, 1946, nearly killing test pilot and industry pioneer Howard Hughes. A second example of the Hughes plane was flown successfully. The sleek, four-engined Republic F-12 was once slated for the postwar Strategic Air Command, but after two XF-12s were built, production was cancelled. 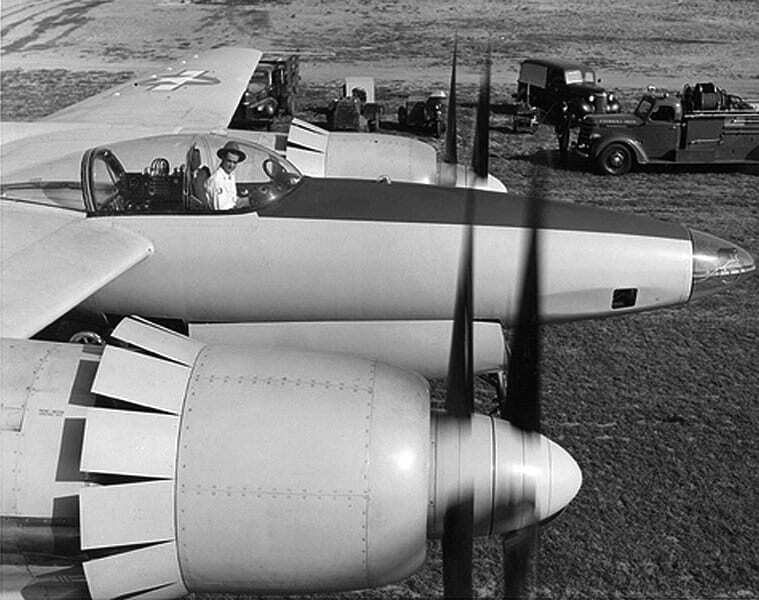 Howard Hughes warms up the engines of the Hughes XF-11 photographic reconnaissance plane in 1945. The dark square on the lower forward nose section is a portal for a camera. Photo courtesy of the Hughes Tool Co. In July 1948, the Air Force (which had become an independent service branch on September 18, 1947) revamped its system for naming aircraft. Among other changes, the letter “F” was adopted for fighters. Familiar planes like the P-47 and P-51 now became the F-47 and F-51. Rather than continuing a separate series for photo-reconnaissance aircraft, the Air Force decided to apply an “R” (for reconnaissance) prefix to the types that were already familiar. The F-6, F-13, F-14, and F-15 were still in service in 1948 and were re-named the RF-51, RB-29, RF-80, and RF-61 respectively, although the service continued to use the F-15 terminology for a time. Rather than continuing a separate series for photo-reconnaissance aircraft, the Air Force decided to apply an “R” (for reconnaissance) prefix to the types that were already familiar. The F-6, F-13, F-14, and F-15 were still in service in 1948 and were re-named the RF-51, RB-29, RF-80, and RF-61 respectively, although the service continued to use the F-15 terminology for a time. One of the first combat missions of the Korean War in 1950 was flown by an RF-80, formerly an F-14. The two planes in the series that had no familiar counterpart, the F-11 and F-12, were redesignated R-11 and R-12, and were retired soon afterward. The National Museum of the United States Air Force Museum has an F-10 Mitchell, but it has been painted and restored to represent a B-25B bomber used in the April 1942 raid on Japan by Lt. Col. (later, Gen.) James Doolittle. Officials at the Air Force Museum in Dayton, Ohio, and the National Air and Space Museum in Washington, D. C., say that no “F-Plane” is preserved and displayed today in its reconnaissance configuration. The National Museum of the United States Air Force Museum has an F-10 Mitchell, but it has been painted and restored to represent a B-25B bomber used in the April 1942 raid on Japan by Lt. Col. (later, Gen.) James Doolittle. My Dad in WW-2, He was a crew member on a B-17 and flew for the OSS / French Underground.